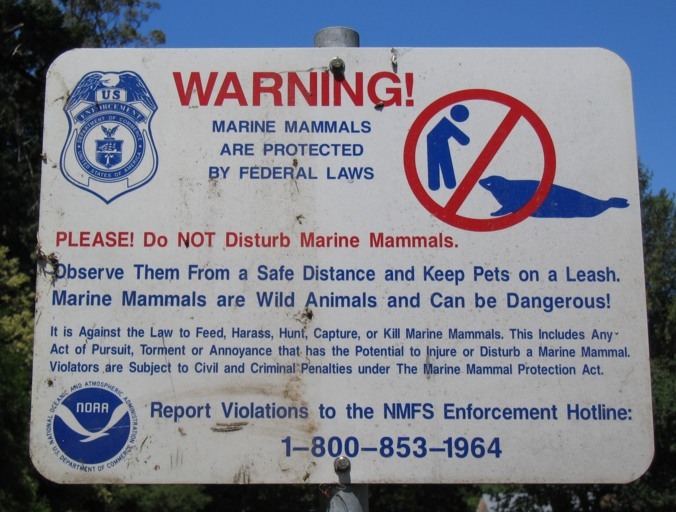 Parks, recreation areas, and other public lands use signs for both education and regulation. The hope, of course, is that visitors will understand the purpose of the rules and follow them even when no public employees are present to provide enforcement. Signs also make it less likely that visitors will, in fact, be able to say legitimately that they "didn't know" what the rules or standards are. 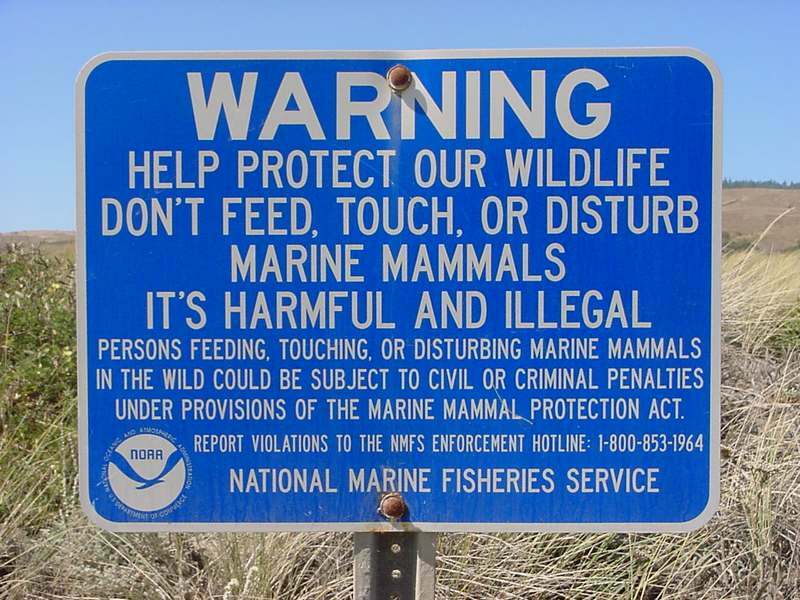 It is not always obvious where signs should be posted, and what they should say. Generally, any sign is better than none. 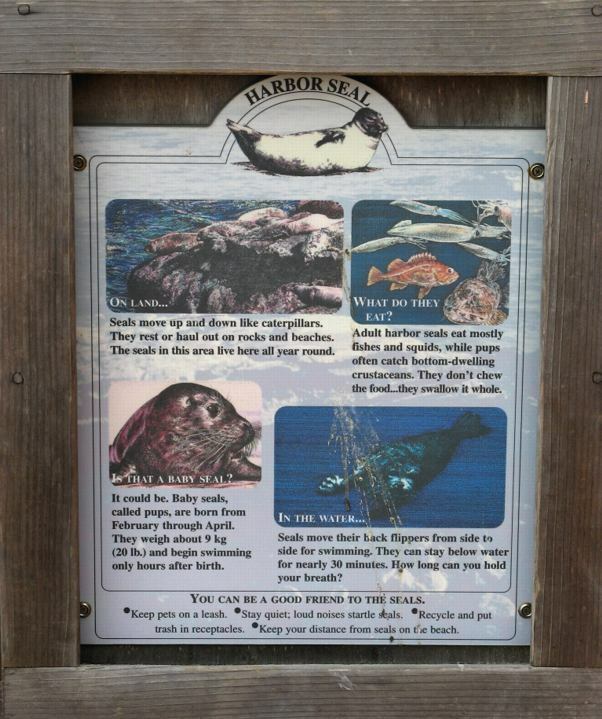 Sign placement can be a highly charged issue with many jurisdictions and visitor groups. It seems reasonable, however, that just as most people want to be warned of dangers from animals (vicious dogs, poisonous snakes, rabid squirrels, etc. 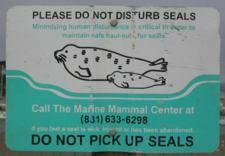 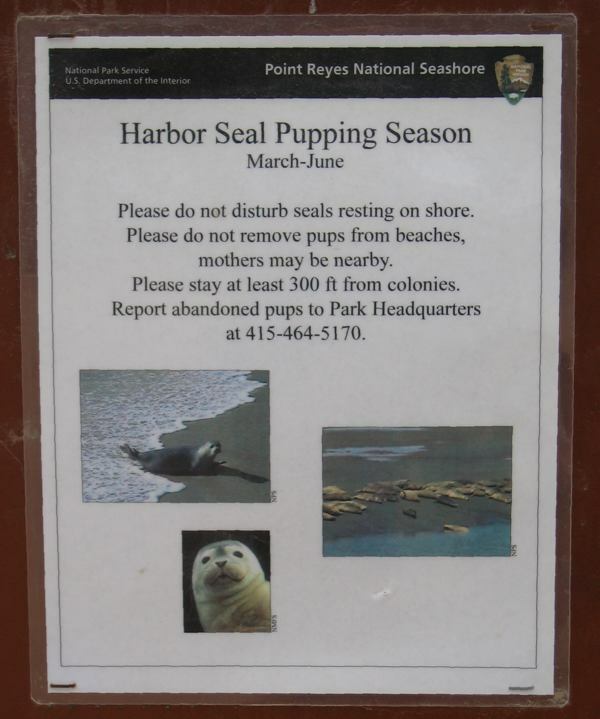 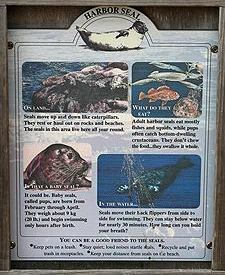 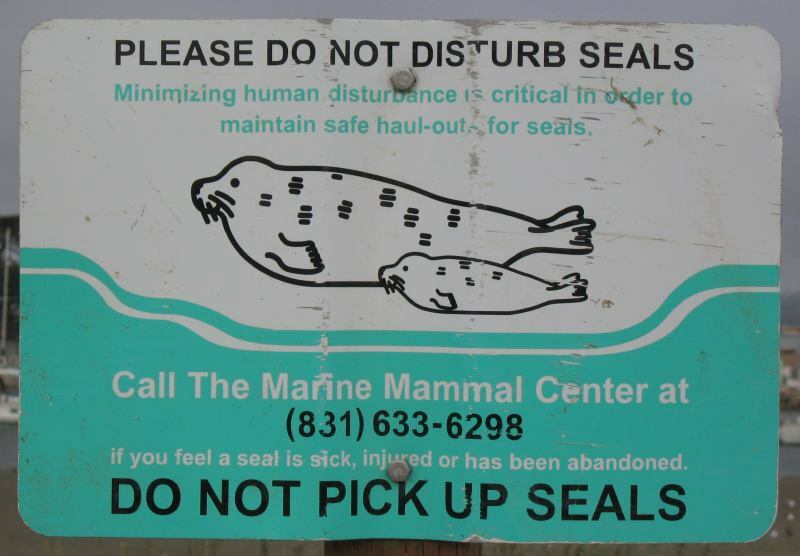 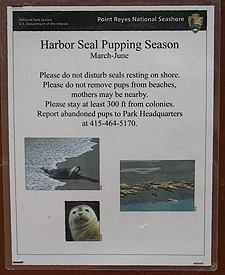 ), they would also appreciate being warned of dangers they themselves might pose to animals such as resting or nursing seals. 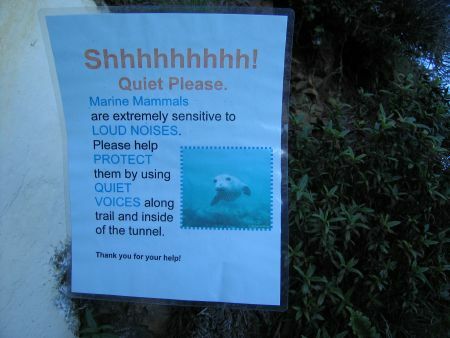 Bumper strips, of course, allow concerned members of the public to inform others. 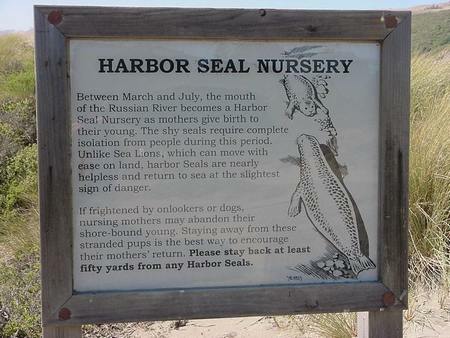 Hopefully what first attempts to achieve "common knowledge" eventually results in "common sense".